When the lamb opened the third seal, I heard the third living creature say, “Go!” I looked, and there was a black horse! Its rider held a scale in his hand. Sometimes catastrophes are of man’s own doing. The Black Horse of the Apocalypse describes the plagues of famine and hyperinflation.… The major causes of starvation on this planet are shortsightedness, mismanagement, greed, and willful destruction of food sources. The Earth is what is called a closed system. Everything we need is here for our use. Very seldom do we run short of a thing because of natural forces. The main cause for shortages and disruptions is the stupidity of Man. This last week, the United States saw one example of the result of the folly of Man’s ways. On April 13, Peabody Energy Corp., the world’s largest privately owned coal company, filed for bankruptcy in the U.S. It was the last chapter in a story of structural decline that began as early as 2011. Nowhere is the threat to America’s future more clear, and more easily avoided, than in the energy sector. Using overblown claims of global warming, and when that did not work out… climate change, those seeking one-world governance sought to limit worldwide economic development by restricting energy supplies. In addition, some in the United States sought to lead the way. 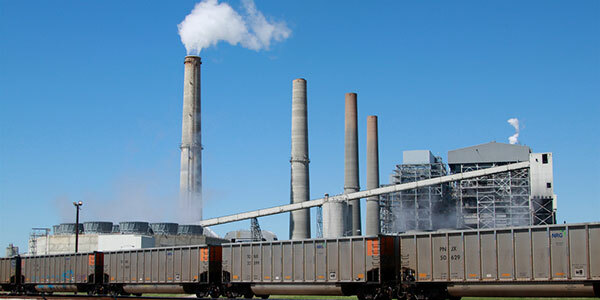 So if somebody wants to build a coal-powered plant, they can; it is just that it will bankrupt them because they are going to be charged a huge sum for all that greenhouse gas that is being emitted. Interestingly, in August 2015, the day President Obama announced Environmental Protection Agency regulations to reduce carbon dioxide emissions from power plants, the coal company Alpha Natural Resources filed for bankruptcy. The Environmental Protection Agency’s regulations, called the Clean Power Plan, are expected to retire upward of 90 gigawatts of coal-fired power generation in the coming years, reducing demand for coal and forcing mines to shutter. Increased emission regulations to cut greenhouse gasses to reduce climate change caused more changes to the coal industry in the last several years than have occurred in the last three decades. It is ironic that only one-third of the electricity generated in the United States comes from coal. Looking at electricity generation worldwide, almost 50 percent of all the electricity generated in the world comes from plants in China and India. These two countries have already stated they are not in any hurry to cut back on their emissions. They do not feel they should cut back and solidify an American economic lead that was bought with coal. This means any cutbacks in CO2 emissions the United States makes will have a very small effect on emissions worldwide. Other forces were at work that contributed to Peabody’s decline, the price of natural gas for one, but in recent years governments have been in the business of picking winners and losers. This is a dangerous practice. This contributes to putting technologies in place before they are ready and closing down technologies before there is another technology ready to take its place. Solyndra is a good case in point. This company was a Silicon Valley solar energy startup that collapsed, leaving taxpayers liable for $535 million in federal guarantees. Meant to create jobs and cut reliance on foreign oil, Obama’s green-technology program was infused with politics at every level, which The Washington Post found in an analysis of thousands of memos, company records and internal emails. Political considerations were raised repeatedly by company investors, Energy Department bureaucrats, and White House officials. The records show that when warned that financial disaster might lay ahead, the administration remained steadfast in its support for Solyndra. A nation’s energy infrastructure requires a long-term strategy. It takes three to five years to take an oil well from exploration to production. It can take five to 10 years to build an oil-refining unit, 10 years to build a nuclear power plant. When governments arbitrarily mandate the use of a technology, it can create shortages, in not only energy, but also the foodstuffs and other goods that need energy to produce them. Famine can follow energy shortages. The Black Horse can be of Man’s own making.